The Unicorn Epic mount skin in AC Odyssey is one of many cosmetic horse upgrades in the game. It’s not the first time that Assassin’s Creed offers a Unicorn cosmetic for your horse. 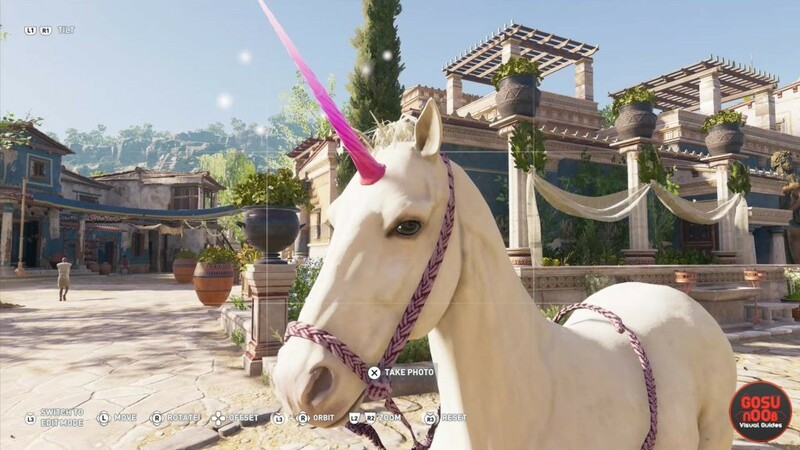 Many players have probably already started wondering how to get the Unicorn horse skin in Assassin’s Creed Odyssey. If you still haven’t figured out where to find it, our AC Odyssey Unicorn Epic mount skin guide will help you solve the problem. How to Get Epic Unicorn Mount Skin in AC Odyssey? To get the Epic Unicorn Skin for your mount, all you have to do is keep buying horse skins at the blacksmith until they eventually start selling the unicorn skin. Yes, really; we aren’t kidding. That’s all there is to it. From what we can tell, you don’t even have to purchase all of the skins from the same blacksmith; any combination will do. Below, we’ll show you the location of the blacksmith we got the Unicorn skin from just for the sake of reference. Here’s how it works: every time you buy a skin from a blacksmith, it seems that every other one stops selling it, and upgrades to the next one. So, you’ll have to buy your way up to Epic mount skins, through the several Rare ones. Your mileage may vary here, but each Rare skin will cost around 2000 Drachmas, while the Epic Unicorn skin will set you back 6400 Drachmas. So, plan to grind out money accordingly, because you’ll need quite a lot of money to get up to the Unicorn. Like I said, your mileage may vary, but it might end up costing you anything from 12000 or so Drachmas and upward. Or, you can just purchase skins one by one over time, really. You can take a look at how the Epic Unicorn mount skin looks like in-game in the screenshots above. If you’re having trouble with something else in the game, feel free to browse the rest of our AC Odyssey guides. Among them, there’s Sphinx Riddle Solutions – Riddle Me This Trophy, Best Starting Skills – Assassin, Warrior, Hunter, How to Get Legendary Lieutenants for Ship, and others. I bought it from a blacksmith in a cave in Malis and it was 5000ish. I’d never bought any others either!